Americans have fought in many wars, within their own country as well as abroad. These wars were fought for a variety reasons, ranging from the need to be independent from colonists to the expansion of national boundaries. Here’s a list of American wars that took place since the United States became an independent nation. The British Navigation acts, the closing of western lands, the restricting of the colonial currency, the Quartering Act, the Stamp Act, and The Townshend Acts enacted by the British Parliament contributed to the revolution of colonists. In 1773, the British Parliament permitted the East India Company to sell tea in the colonies at very low prices, which resulted in the Boston tea party. The response of the British Parliament was the Intolerable Acts and the Quebec Act in 1774. In September of the same year, the First Continental Congress was held in Philadelphia. The Revolutionary War began in 1775. The second Continental Congress was held in May, 1775 in Philadelphia. In 1776, the United States declared independence. British and American troops fought near Boston, New York, Trenton, and other places. In 1783, by the Treaty of Paris, the independence of the 13th colonies was recognized by Great Britain, and the war ended. The United States declared war on Britain in 1812. The Americans’ attempts to conquer Canada during the campaigns of 1812-1813 failed. British blockaded the American coast. After many battles, the war was ended in 1814 by the Treaty of Ghent, which was the Belgium of old. Weeks after that, Major General Andrew Jackson, also known as “Old Hickory,” won the battle of New Orleans. The war ended with no gain for both sides. Mexico refused to recognize the annexation of Texas. In 1846, Mexicans attacked US troops, and the Congress declared war on Mexico. The Mexican-American War was ended by the Treaty of Guadalupe Hidalgo in 1848. Mexico ceded the states of California, Utah, Nevada, as well as parts of New Mexico, Colorado, Arizona, and Wyoming. The American Civil War was fought by 11 southern states known as the Confederacy and Union states. Since President Abraham Lincoln and the Republican Party were against the expansion of slavery, the southern states declared their secession from the Union. This war was the deadliest in American history. The Union won, the Confederate armies surrendered in 1865, and the war ended the practice of slavery. Spain declared war on the US in April 1898 because the US supported the Cuban struggle for independence. The war ended with the signing of the Treaty of Paris in August, 1898. The US gained the Philippines, Puerto Rico, and Guam. The First World War began in 1914, and it was fought between the Allied (Entente) Powers, which included the Russian Empire, the British Empire, France, the Empire of Japan, Italy, and the US, and the Central Powers, which included the Ottoman Empire, the German Empire, the Austrian-Hungarian Empire, and the Kingdom of Bulgaria. The war ended with the victory of the Allied Powers in 1918. New nations were formed. The Second World War started in 1939 with the German invasion of Poland. It was fought between the Axis Powers, which consisted of Germany, Italy, and Japan, and the Allies, which were made up of the British Empire, the USSR, and the USA. The war ended with the capitulation of Germany and Japan in 1945. Warsaw Pact and NATO were created, and the Cold War began. In 1950, North Korea invaded South Korea, and the nations that were allied with the US (the UN) intervened on behalf of the South. The USSR and the People’s Republic of China supported the North Korea. The Korean conflict ended in 1953. The Korean Demilitarized Zone was established. The Vietnam War was fought between the communist forces of North Vietnam, Viet Kong, Khmer Rouge, the People’s Republic of China, USSR, North Korea, and Pathet Lao, and the anticommunist forces of US, South Vietnam, South Korea, Australia, Philippines, Thailand, New Zealand, the Kingdom of Laos and the Khmer Republic. North Vietnam won, and Laos, Cambodia, and South Vietnam became communist states. The war was fought between Iraq and the coalition forces of 34 nations that were authorized by the UN, after the Iraqi invasion of Kuwait. The war ended with the coalition victory, and Kuwait was liberated. Beginning October 7, 2001, Operation Enduring Freedom is the U.S. led effort to drive al-Qaeda and Taliban forces from power in Afghanistan. The war is still ongoing today. Throughout the history of American wars, the country suffered many casualties and great financial losses, but some of the wars did bring about positive circumstances that contributed to the prosperity of the nation. All of the wars helped to shape our country into the nation it is today. At Gettysburg Flag Works, we're passionate about helping our customers show their pride for America's storied history. We carry a variety of historical American Flags to help them do just that! If you're looking for a historic flag, be sure to browse our selection. 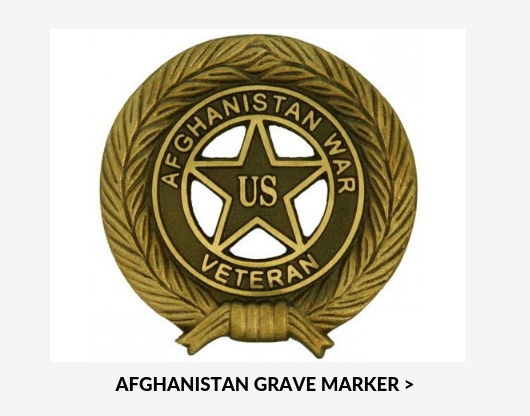 We also stock a variety of American War grave markers that are perfect for honoring the sacrifices made by the service men and women who defended and helped to shape our country during the wars mentioned above. With our American-made products, you can show your pride for the USA while celebrating the history that got us here. Can't find what you're looking for? Give us a call at 1-888-697-3524 or contact us online and we'd be happy to point you in the right direction.